Listen to what others are saying about Alternative Roofing Solutions. 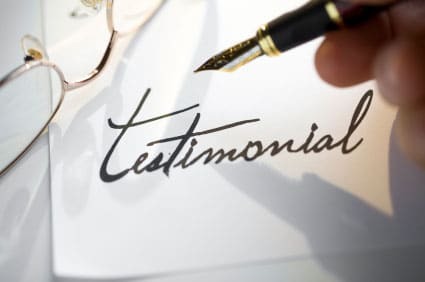 We receive letters and emails from our satisfied clients telling us how pleased they are with our roofing and gutter work. We take tremendous pride in our workmanship and this is why 80% of our business is from repeat clients and referrals. We strive to give the best customer service in the industry by answering our phones 24 hours a day, 7 days a week. We work hard to get your business and work even harder to keep it. Here are a few of the letters we have received from clients who have complete confidence in us. Sonoma/Marin Seamless Gutters did a wonderful job on your new gutters. From the moment we met Don Williams, we knew we were dealing with a professional, trustworthy company. His presentation was very informative. He was able to answer our questions and advise us on areas about which we knew nothing. The quote was professional done in a timely manner and at a cost that fit our budget. When the work began, the crew was on time daily and did a great job – leaving behind not a crumb of evidence that they were even here. We highly recommend Sonoma/Marin Seamless Gutters.. A special thanks to Letitia, the owner, for the call after the work was complete. Your company is really on top of things from beginning to end!! I called Alternative Roofing Solutions, Inc. for an emergency roof repair. I not only found them to be competitively priced, but also extremely professional, fast and efficient. After dealing with several roofing companies over the years, these guys are the best hands down. Leticia, I wanted you and your staff t know how pleased we are with the new membrane roof you installed on our playroom last November. The membrane replaced a very leaky tar and gravel roof. No leaks this winter!! Best of all the reflective qualities of this roof are amazing. Even on the hottest days the room stays cool, where previously the room was uncomfortably hot. We are now able to enjoy full use of the room throughout the year. Thanks SO MUCH ARS!! ARS is tops in my book. As a Realtor I have referred them several times. Always prompt and excellent reports. They go out of their way to provide excellent service and often without any charges. They have emergency service for small jobs too. ARS provides the highest integrity abd quality service, and always with a smile. The only roofer I’ll recommend!